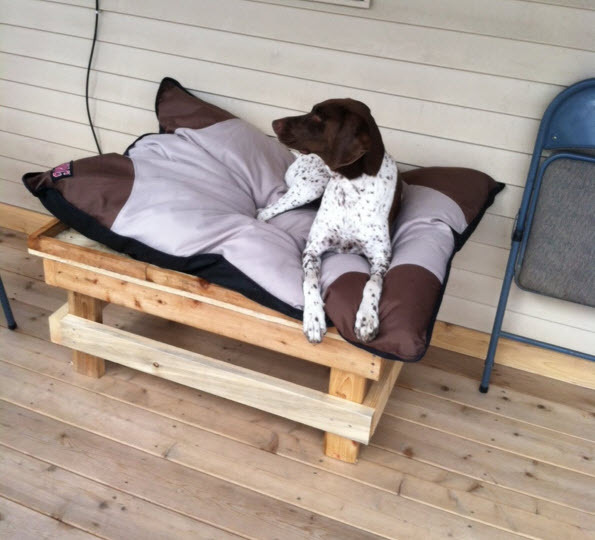 Use a pallet to make a raised dog bed! Take apart one pallet and remove the back from a second pallet. Make a rectangle using the wood beams, then attach short wood beams in each corners for legs. Attach the backless pallet on top of the legs, then add thin pieces of wood around the edges of the pallet for a rim. Put a pillow on top of the bed for your dog to use as a mattress.